Good morning everyone! Welcome to the #CIJParty here on the CIJ blog! We wanted a way to party with all of our team members and followers around the globe during #EtsyCIJ 2015, so we are taking this party virtual. Besides, what better way to attend classes, enjoy guest blog articles and get swag bags, than from the comfort of your deck, patio, or swimming pool in July? Many shops are using the universal coupon code – EtsyCIJ15 – so please watch for coupon codes before you check out. Good night everyone! Thank you for joining us today for the #CraftParty here on the CIJ blog! It was a really fun day! Thank you Jen from CaffeinatedPapercuts, Alicia from Alicia’s Findings, and Megha from byTheArtBug who hosted this years #CraftParty. There is still time to toss your name into the hat below for your chance to win one of prizes offered up by our fabulous sponsors. Contest ends at midnight EST and the winners will be announced on the blog! Thank you Jen from CaffeinatedPapercuts for providing our swag bags today! Jen is a member of the CIJ leadership team and writes for our blog, and is a swag bag expert! She also is active on Pinterest and has created an Etsy Christmas In July board where you will find more fun ideas and projects! When you use the Etsy search bar simply put in Christmasinjuly (35,610 handmade items, 11,141 vintage items and 9,102 craft supply items) or CIJ (119,703 handmade items, 31,916 vintage items and 16,230 craft supply items). So many fantastic deals from fantastic shops during #EtsyCIJ 2014. Many shops are using the universal coupon code – EtsyCIJ14 – so please watch for coupons before you check out. There is still time to toss your name into the hat below for your chance to win one of prizes offered up by our fabulous sponsors. Contest ends at midnight EST and the winners will be announced Thursday on the blog! Thank you to Alicia from Alicia’sFindings for hosting the prize portion of the #CIJParty. Alicia is a member of the CIJ leadership team. She is our treasury leader, writes for our blog and a prize expert! Good morning everyone! Welcome to the #CIJParty here on the CIJ blog! 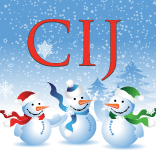 We wanted a way to party with all of our team members and followers around the globe during CIJ 2014, so we are taking this party virtual. Besides, what better way to attend classes, get swag bags, and win prizes than from the comfort of your deck, patio, or swimming pool in July? Still with us? All right, one last piece to this party – prizes! Toss your name into the hat below for your chance to win one of prizes offered up by our fabulous sponsors. Contest ends at midnight EST and the winners will be announced Thursday on the blog!